Swami’s main concern seemed to be about what arrangements had been made for Shiv Yogi Maharaj. 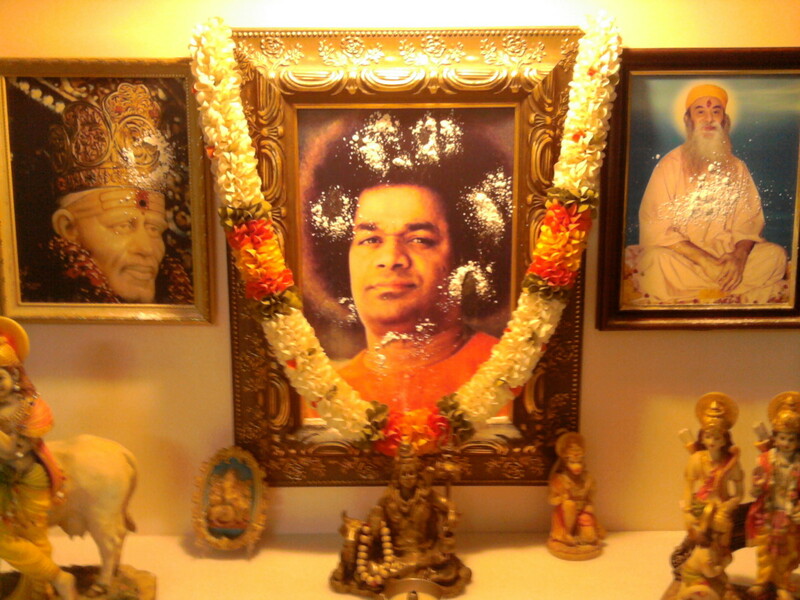 A room had been cleared above Swami’s room for the saint. But Swami seemed dissatisfied with that. He said that Maharaj would stay with Him in His own room! What happened in Swami’s room was later revealed by Maharaj himself. Swami did not stop at teaching him how to use the taps and shower, but also made him rest on His own cot! The Lord gave up His own two hours of rest for the devotee’s comfort! 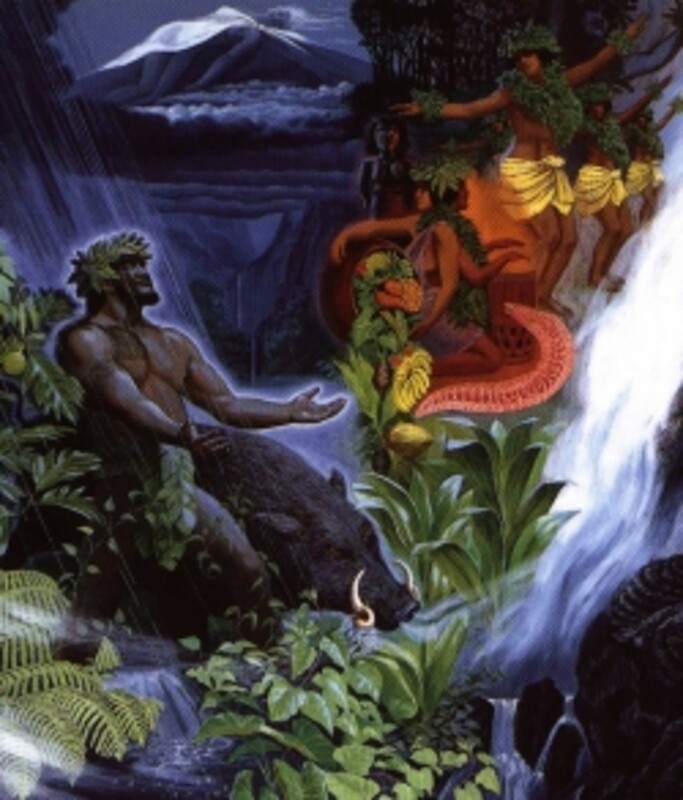 And when asked about it Maharaj said that he was simply obeying orders of the Lord! 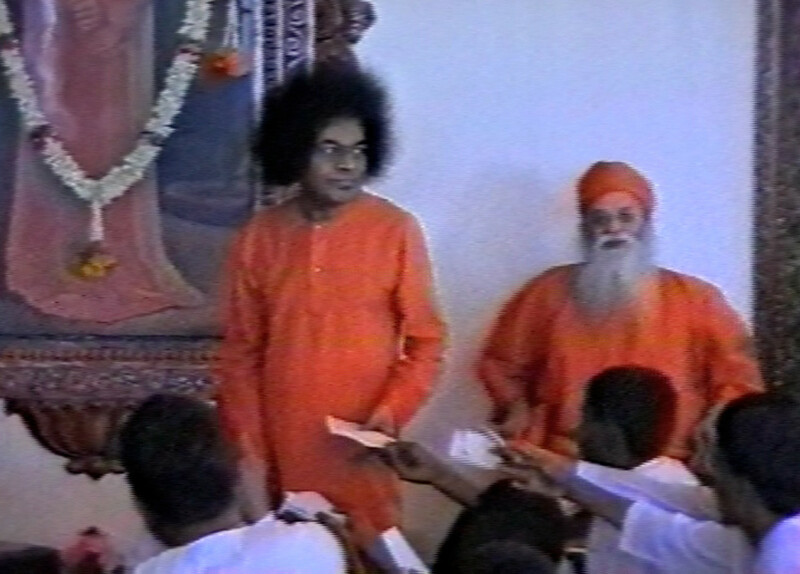 After the short time, Swami proceeded to Parthi. 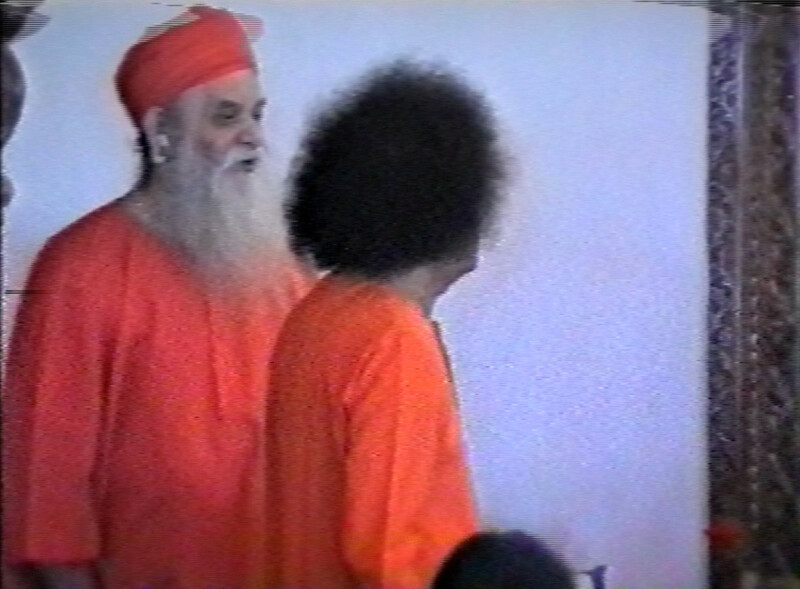 Maharaj also stayed for about two weeks as Swami’s guest in Puttaparthi. 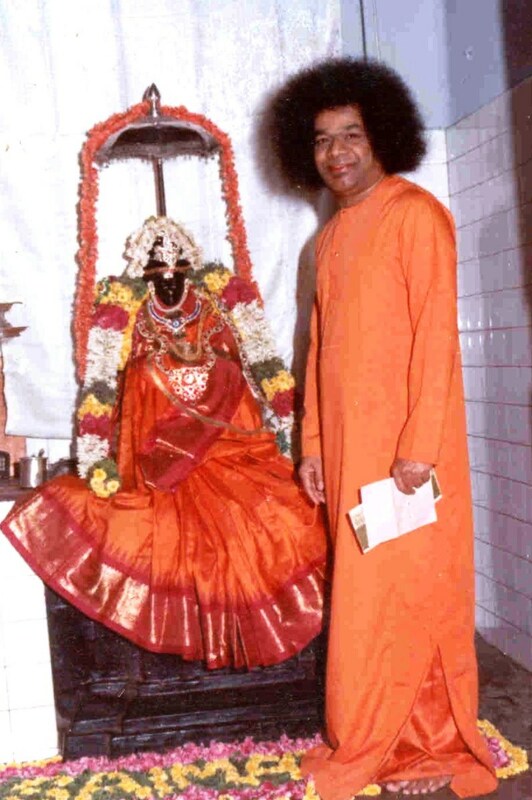 During that time, there were many interactions and everyone wondered as to who this saintly person was, who was getting so much attention from Swami. One day, Maharaj had a bad cold and did not wish to come for darshan with a runny nose. When Swami came to know about that, he sent doctors of Homeopathy, Allopathy and Ayurveda to help him! Such was the attention that was given to him for the period of over two weeks. After lavishing love and pampering Maharaj with blessings, Swami permitted him to leave. “Oh! So it was this person whom Swami showered with so much love. I asked Sarvajyoti about his association with Maharaj. 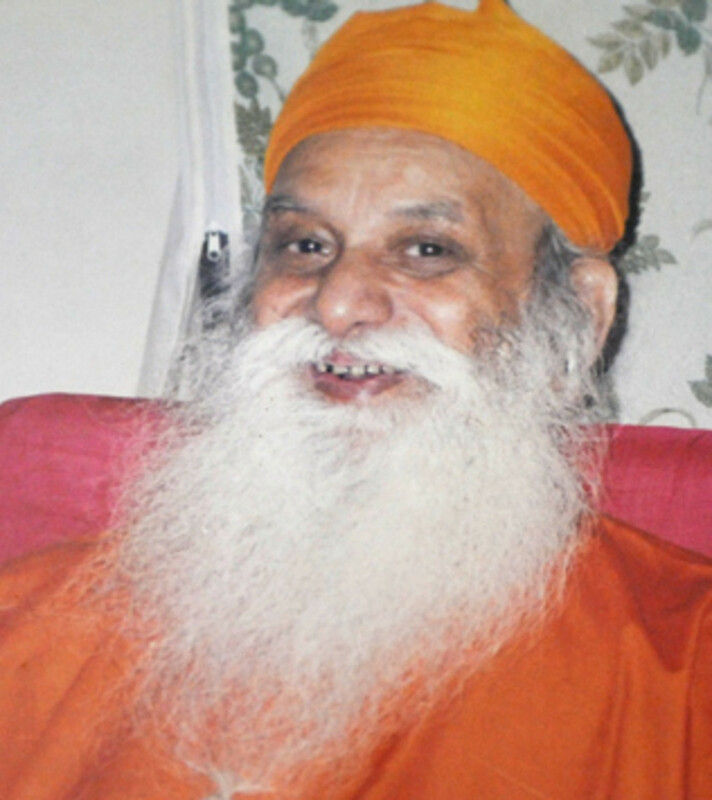 He had been blessed with the opportunity to learn at Maharaj’s feet and had been guided to Swami. He was also privileged to cook for Maharaj on many occasions. Maharaj always stayed at some devotee’s place for he had no residence of his own. He wanted none too. In fact, he would never even eat from a plate. He would take the roti (Indian bread) and place the side dishes on it as he ate. That was Shiv Yogi Maharaj’s rationale. The name itself was something that his devotees had bestowed on him. He was born as Shadilal. There is a reason why am delving briefly into some of the stories about Maharaj. This is because he made some observations about Swami. Those observations thrilled me. Sarvajyoti was wondering as to what he was speaking and why because it was very rarely that Maharaj spoke. Then, when permitted to speak, he began to tell about how Swami had fallen. Maharaj’s devotees believed him to be the Kalki avatar. But he himself had a different opinion. He stated that he had come only to help the Kalki avatar. “So, who is the Kalki avatar?” he was asked. As I listened to this, my hairs began to stand on their end. The revelations got more fantastic after that. As I heard this, I suddenly had a strong desire to meet this saint. I wanted to know where He was presently staying. The answer I got made my hairs stiffer as they stood on their ends. “You mean he did not go for darshan?” I asked. This revelation was shocking for me too! I came to know that Sarvajyoti was the one who lit the pyre for Maharaj whose physical body was cremated on the banks of the river Chitravati! When the fires had cooled, four bones had been left behind and they were all in the shape of a conch. 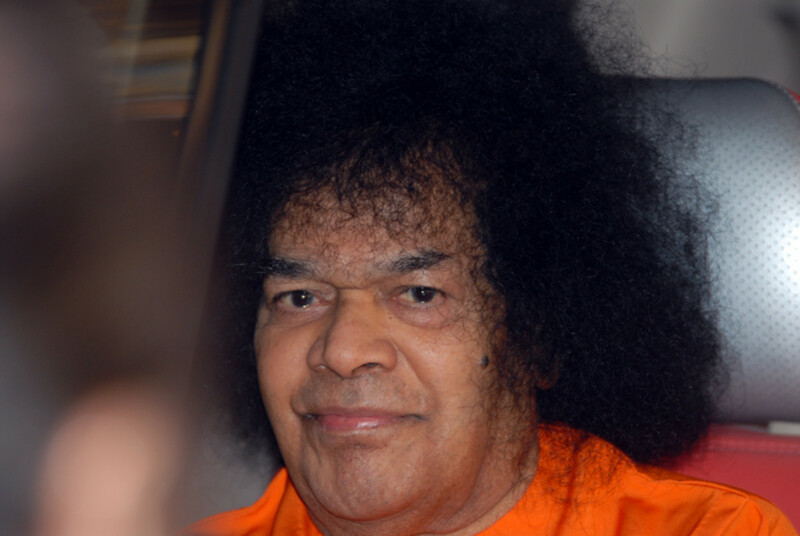 That was the physical end of a saint who had all through his life guided devotees towards Swami. No wonder then that the devotees of this saint also adore Swami. How wonderful if we too have that same faith in our Lord’s words. “The only pre-requisites for a devotee are Shraddha (Faith) and Saboori(Patience/Perseverance). Swami, every moment of my life, I know you are there. All that is needed is awareness of that fact. I forget the fact just as I forget the fact that I am continuously breathing. Make me aware and let my love for you grow stronger every passing moment. And if you want to subscribe to such articles, please "subscribe" to public updates on myFacebook profile or just "like" this Facebook page. Or you could follow these articles on Google+. Sairm! Once again the memories of past cloud my mind. The last Dharsan was during Athirudra Maha Yagna in Chennai. Swami blessed all profusely. We are just mere spectators of the grand events that will unfold as Swami has predicted very long ago. But the world needs complete transformation and his declaration that he will live until 96 years still remain. LET US WAIT AND WATCH PATIENTLY! Sairam all, there is a very nice book I came across @ PSN. It was available in telugu and english also. The title of the book is "Yogis who met Sai Baba". 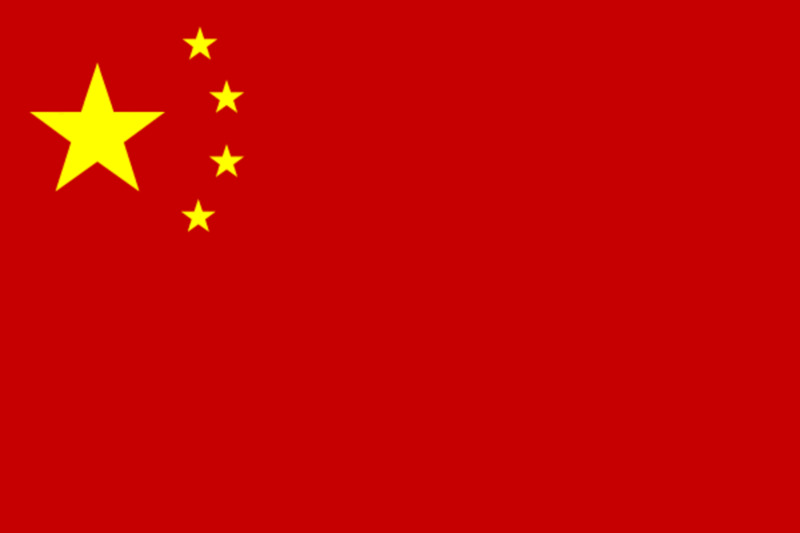 In telugu, it is "Babanu Darshinchina Yogulu". This gives a very nice & interesting experiences of 67 yogis and their divine interactions with Swami. The readers can also go through this and derive joy. Shiva yogi maharaj's incident is also mentioned in this book. Pls gothru it. 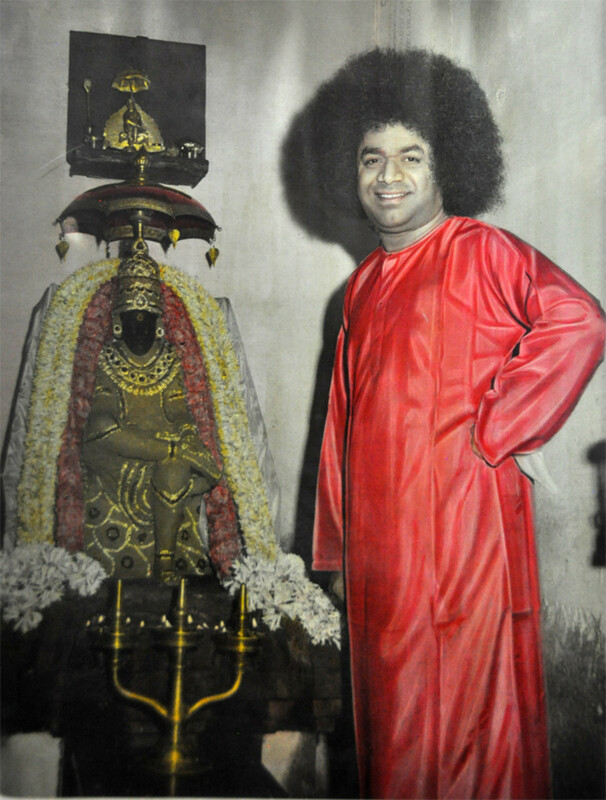 To be in same area off the physical body of swami is enough grace and Darshan , not to mention tremendous Energy. Swami told the Shri Shiv Yog Maharaj something very important. Swami shares same now with us. Sai Ram Aravind. A loving, heartfelt narration which is very inspiring. Thank you. I an wondering why people are expecting, waiting, hoping and praying for Swami to return when HE never left. He said "see Me in everyone', He also said "when you see 1000 legs they are My legs, 1000 faces, they are My faces etc". He showed his presence during One with Sai program in 2012 when He cut the garland on Krishna's Crown, and as recently as Sept 2015 when the garland on His picture snapped in 2 places during a talk by Prof Anil Kumar in Eshwaramba School to the children. Sai Thy Kingdom Come if i remember is someone who had a dream about Swami. I only watched a bit of it.Dreams about Swami are Real but aren't they only for the person or people involved in the dream? Maharaj said Swami is coming back. 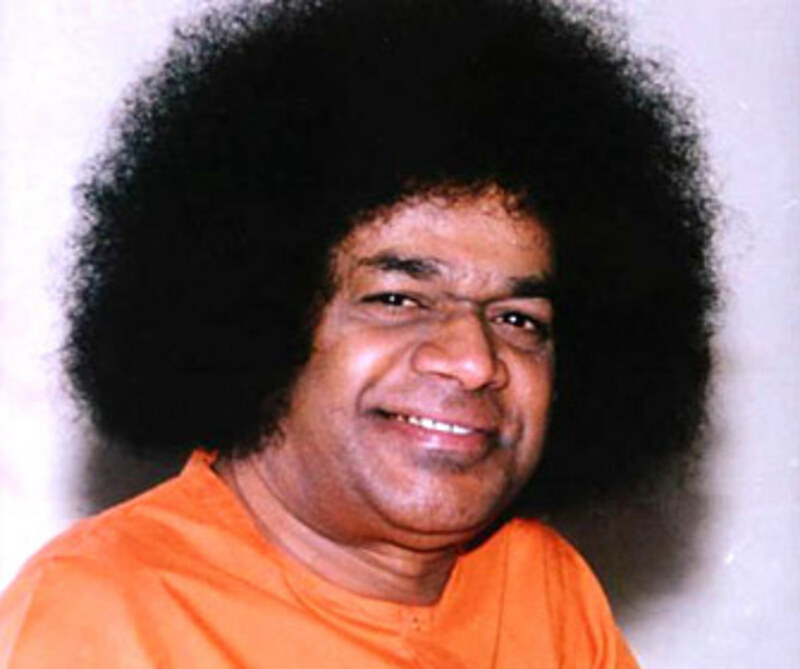 Swami said that He is coming back yes but as Prema Sai. Why aren't we paying attention to his lessons that there is only GOD? 4 years ago from Chennai in Tamilnadu, India. Sairam! No doubt, we can not dwell on great minds. But after going through many posts in STKC site, many of us are anxious for Bagawan's reappearance soon! Those who are there in Parthi are really lucky, especially those who are working there! In that respect, you are one of the luckiest with your own fascination of Camera and Photos. Sairam. Do u know any thing more about the last moments of shree shivyogi ji MAHARAJ if so can u share with us . Oh Lord ! Please give us a sign of your visit, we want to be there.... We are still not grown to feel your presence. Sai Ram Aravind, thank you tons for sharing this Hub. Yet another confirmation of Swami's return. Swami gave so many signs to so many devotees before he shed His mortal coil but only a few or maybe no one picked it up. Now he is giving signs of His coming back, of course the master plan is known only to HIM, like you said let's wait with love and patience. I feel blessed to have the divine darshans of Shiv Yogi Maharaj. thanks for sharing this wonderful story about the Lord and His devotee...it was really captivating. knowing about the lives of great MAHATMAs is also a boon from the ALMIGHTY.This Lifestory teaches and tells us that ...we need to have FULL FAITH in our LORD'S WORDS.It teaches us what SURRENDER is in it's True sense. Let us intensify our prayers for our SWAMY'S RETURN.Prayers are the only WEAPONS which we have in our hands...so let's Pray with utmost devotion and soulstirring bhajans for our beloved Swamy to Resurrect. "Every single word spoken by this avatar, even in jest, is true." At the divine level, no contradictions exist. “Maharaj once said that he would leave his physical frame 6 years before Bhagawan Baba left His. 14th July 2005, he left Bangalore for Parthi again. He soon gave up his body! If Swami is going to walk (what I want), Maharaj has also to come back. @ Samir - My job is to just wait in patience for the day He chooses to! 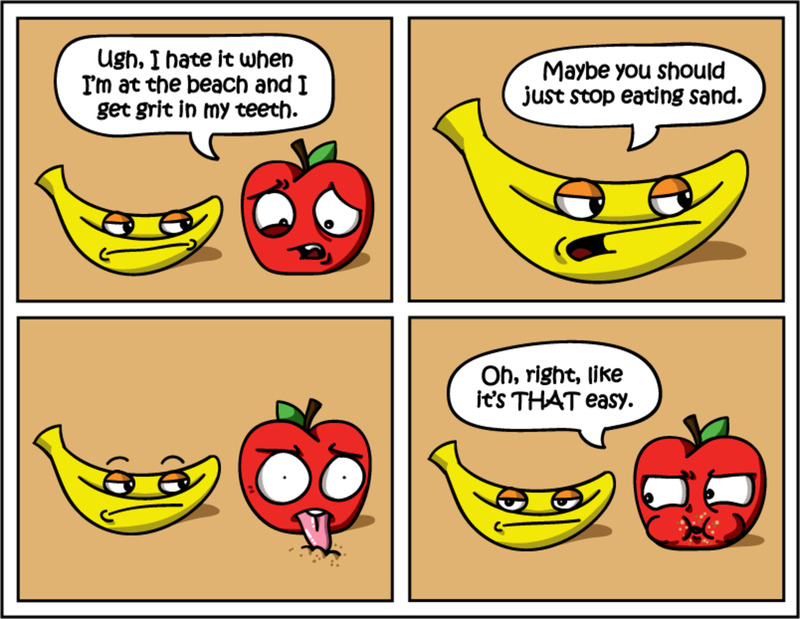 Thanks for such an enlightening true story. Am particularly struck by the level of equanimity that the Maharaj had .. Once treated like a very special guest by Swami and later on stayed outside the ashram in contemplation of divinity ..
Not surprising coming from a self realised soul like him .. But this is a lesson for all of us ..
How often our ego manages to create turbulences within us based on the treatment we receive from others .. The equanimity that the Maharaj has exemplified is the best way to lead a peaceful and happy life ..
As usual a thought provoking post from you brother .. Keep them coming !! Spellbinding! We must have complete faith in Swami's words. That's all the strength we need. Your story about this saint is fantastic. I had heard about him in 2005, when he was staying outside PSN, when we came for Seva Dal duty from Bombay. We had even gone to the building to see him, but he was not coming out and I believe we met Sri Sarvajyoti briefly who was a gentleman (from Delhi?) arranging some food for him. Later I was told that Maharaj had shed his body. @ Raviks - Thank you so much! waiting for this great event unfolding. thanks for sharing this amazing story. Thanks bro, Sairam to you. This is brilliant... how blessed that we could hear this story! 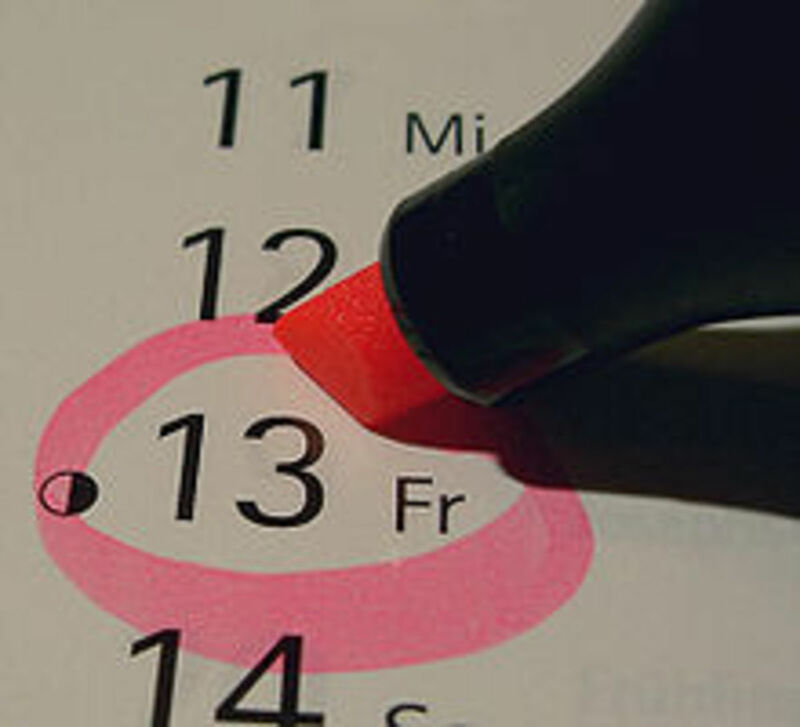 Love this line ..."I forget the fact just as I forget the fact that I am continuously breathing. ".